Harvested beach plums. Photo courtesy of Cornell University. When explorer Giovanni da Verrazano sailed into New York Harbor in 1524, he remarked on the multitude of this sweet fruit thriving in sand. In 1609, Henry Hudson was similarly delighted. This vision of our estuary is long lost, but not irrecoverable despite massive urbanization. Imagine waterfronts swaying with white flowers that grow into delicious plums the size of fat cherries. We can do it inexpensively in a way that’s a fun learning experience for youth! Beach plum flower. Photo courtesy of Cornell University. 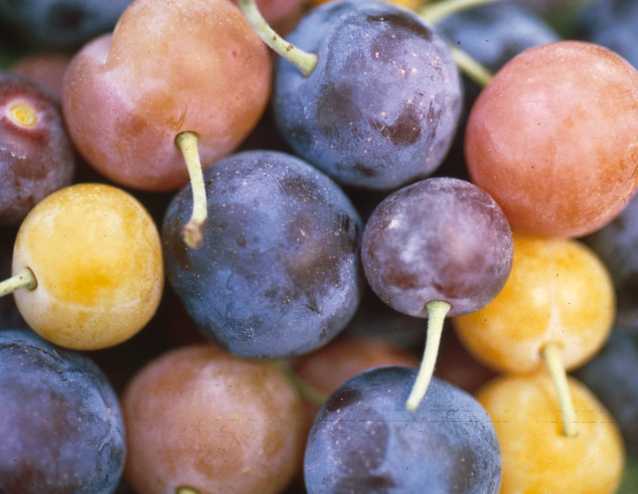 These indigenous fruits are better known in luxury summer communities like the Hamptons, Block Island, Martha’s Vineyard, Cape Cod, and Nantucket. They’re difficult to grow in yields demanded commercially, but but there’s nothing stopping us from making them a signature of New York Harbor again, from waterfronts to nearby community gardens and schools. The NYC Department of Parks and Recreation and Friends of Gateway are leading parallel efforts to replant beach plums in key sites like Soundview Park, Floyd Bennett Field, and Plumb Beach. Regarding the last location, many already mistakenly call it “Plum Beach,” so we have a happy instance of reality catching up to a misnomer! A community effort could share the fun of beach plums on a much greater scale. As some readers know, I founded the Newtown Pippin Restoration and Celebration to plant hundreds of apple saplings throughout the five boroughs, with a special focus on our local heirloom variety. That project is now maturing (two new orchards this season, on Governors Island and in Red Hook! ), thanks to the support of New York Restoration Project, Green Apple Cleaners, Slow Food NYC, the Greenbelt Native Plant Center, and a host of other allies and volunteers. 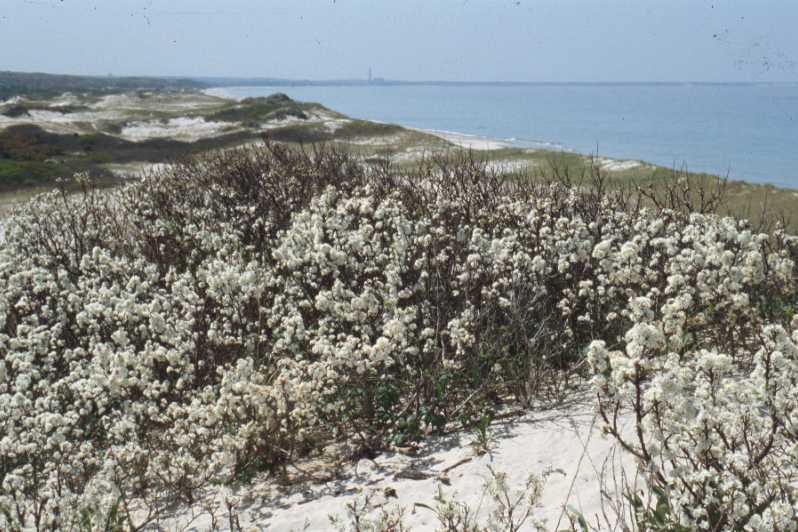 Looking to the future, I spoke with Cornell University plant ecologist Dr. Thomas Whitlow, who is the leading expert on beach plums in New York, about how we might contribute to the return of beach plums. Thanks to Friends of Gateway, I’ve delivered beach plum bushes and elderberry trees to Greenpoint, Red Hook, Astoria, Dumbo, Manhattan, and LIC. What Dr. Whitlow envisions is having students gather beach plums at the East End of Long Island, enjoy them (perhaps we could makes jams with a local canning instructor) and then germinate the seeds. In partnership with a native plant group, the seeds could be potted and grown for distribution to public spaces. If you’d like to be part of this, please drop a note to erikbaard@gmail.com and we’ll get started! Wild beach plums. Photo courtesy of Cornell University.